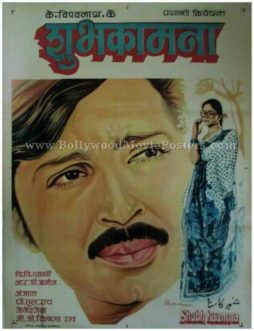 Old Indian movie poster for sale of the vintage Hindi film Shubh Kaamna (1983). 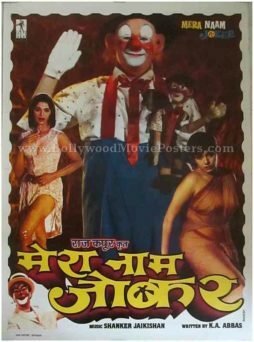 This is an actual surviving vintage Indian poster of the 1983 comedy drama that featured Rakesh Roshan and Rati Agnihotri in lead roles. 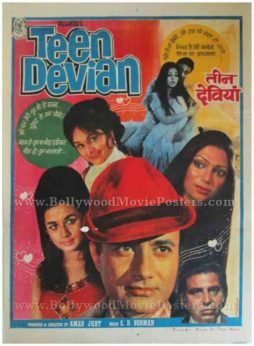 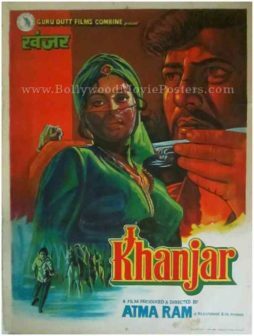 Printed and circulated during the original first release of the film in the early 1980s, this old Indian film poster for sale was printed for publicity of the movie but never ended up being used. 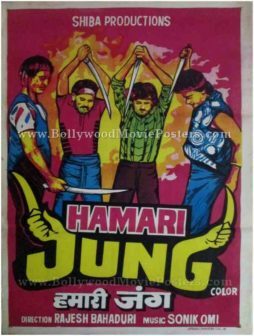 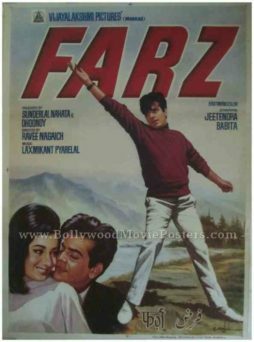 This Indian movie poster for sale was originally designed in hand painted oil on canvas format by a leading poster art studio in Bombay. 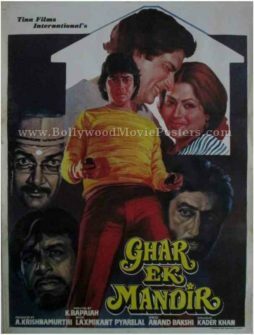 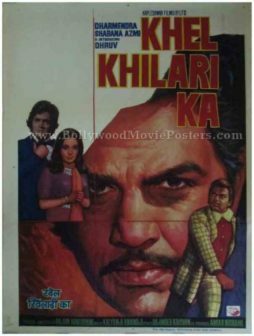 A large sized stunning hand painted portrait of actor Rakesh Roshan is seen prominently in this poster. 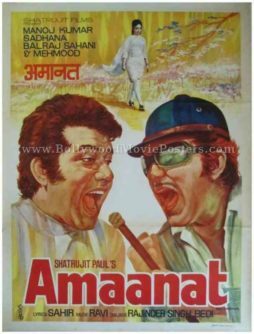 His close up appears painted using soft pleasing color tones. 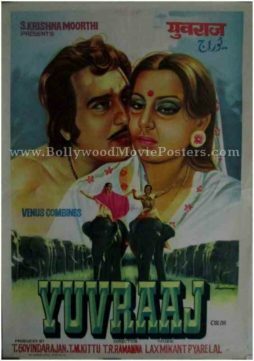 Actress Rati Agnihotri wearing a beautiful white and blue saree is seen alongside. 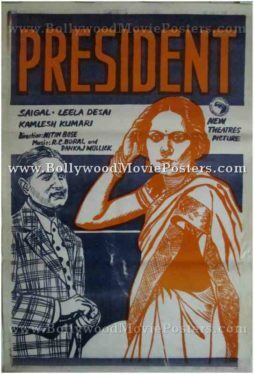 The background is kept blank and the title is seen prominently on the top of this vintage Indian poster for sale. 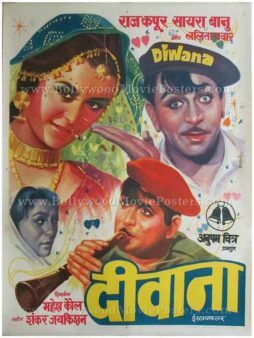 Original vintage hand painted Bollywood movie poster of the Raj Kapoor film, Diwana (1968) for sale. 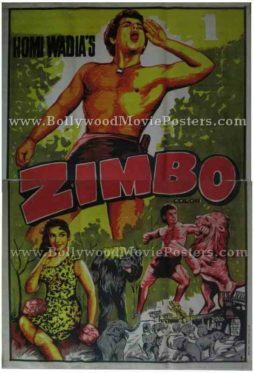 This is an original Bollywood poster of the 1968 film that featured the showman of Indian cinema, Raj Kapoor in the lead role along with Saira Banu. 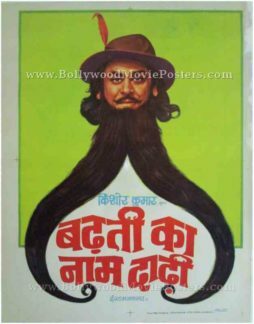 Printed and circulated during the first release of the film (Late 1960s), this rare Raj Kapoor movie poster was originally designed for publicity of the film but never ended up being used. 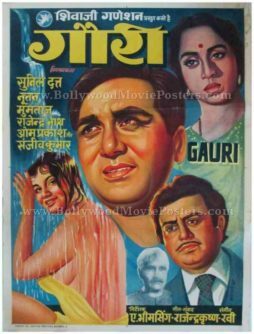 This beautifully hand painted Bollywood poster features a stunning portrait of Raj Kapoor playing the trumpet at the bottom with musical notes etched into the background. 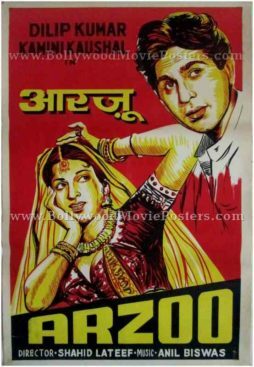 A close up of actress Saira Banu is seen on the top left, alongside a somewhat humorous portrait of Raj Kapoor who is seen gesturing towards her. 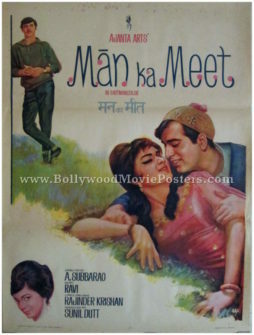 The signature of the poster painter Manohar is seen on the center right corner of this rare Raj Kapoor film poster.